KIITEE 2019 Admit Card: Applicants must begin to book their slots as KIITEE 2019 Slot Booking has been made available from today i.e 1st April till 5th April 2019. Candidates are advised to book their slots as early as possible in order to get the preferred slots. 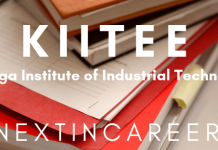 The Kalinga Institute of Industrial Technology, Orissa will issue KIITEE Admit Card 2019 as soon as candidates will book a slot. Candidates will be able to download the admit card only after the online slot booking has been completed. The last date to download the admit card is 5th April 2019. The admit card will be sent to candidates by post individually. All those who are going to take KIITEE 2019, can book a slot first and then proceed to download the KIITEE 2019 admit card. If you have any query related to the hall ticket, do ask us in the comments section below. Start booking the slots as KIITEE 2019 Admit Card will be issued only for those who successfully book a slot. The last date for KIITEE 2019 Slot Booking is 5th April 2019. Make sure you book a slot by clicking on the given link before the deadline. Those who have successfully booked a slot for KIITEE 2019 correctly will be issued the KIITEE 2019 admit card. The Admit Card will be released online on the official website and will be provided here as well. It is one of the most important documents that the candidate must carry to the exam center as an identity proof. In case the KIITEE Hall Ticket 2019 is not available on the website, candidates should write/contact KIIT with details of the application form. The admit card will not be sent in hard copy to the individual candidate and no candidate will be allowed to enter the exam hall without it. All important details of the exam like the name and address of the exam center, the city, time and date and information about candidates will be present on the KIITEE admit card 2019. How to download the KIITEE Admit Card 2019? Follow the procedure given below to download KIITEE 2019 Admit Card in a hassle-free manner. Click on the KIITEE 2019 Admit Card link provided here. (link will be provided here soon). Check all the details and download the same. Visit the official website of KIITEE 2019 which is kiitee.kiit.nic.in. On the home page, click on the “find application number” link. Now fill in your name, gender and date of birth and click on “proceed” button. 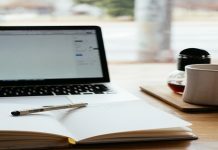 The application number will be displayed on the screen and candidates must note it down. All students are advised to check the below given details carefully and cross check them with those on the admit card of KIITEE 2019. In case of any missing detail or any other discrepancy, candidates should contact the official authority. Candidates can check the tentative dates of KIITEE 2019 Admit Card given here. A seat indicating application number will be allotted to each candidate. Candidates should find out and occupy their allotted seats only. The candidature of a candidate, found to have changed Hall or seat on his/her own, shall be cancelled and no plea would be accepted. Candidates are not allowed to carry any Textual, Material, Calculator, Slide Rule, Log Table, Electronics Watch, Printed or Written Material, Papers, Mobile Phone, Pager or any other device except the Admit Card and Pen/Pencil inside the Examination Hall. No candidate, without the permission of the Centre Superintendent/ proctor can leave his/her seat or Examination Hall till the completion of the Examination. Candidates should carry the admit card with all correct details printed on it to the exam center. Without the KIITEE Admit card 2019, no student will be given entry. Those who are going to take the exam and are filling up the application form, will be required to enter at least exam cities where they would like to take the KIITEE 2019. Candidates will be required to confirm their exam centres during the slot booking. The exam will be conducted in exam centres in 26 states all over the country. The updates list will be provided here soon. Please note that in case an exam centre does not have enough applicants, it will be cancelled. KIITEE 2019 admit card will carry the name of the exam centre allotted to the candidate. If you have any query or a suggestion in mind, do let us know in the comments section below! 2 How to download the KIITEE Admit Card 2019?